Normally, when I mount a cadence sensor on my bike permanently, I use the rubber cover and zip ties. This keeps the sensor nice and secure on the bike. It’s also protected from the elements. 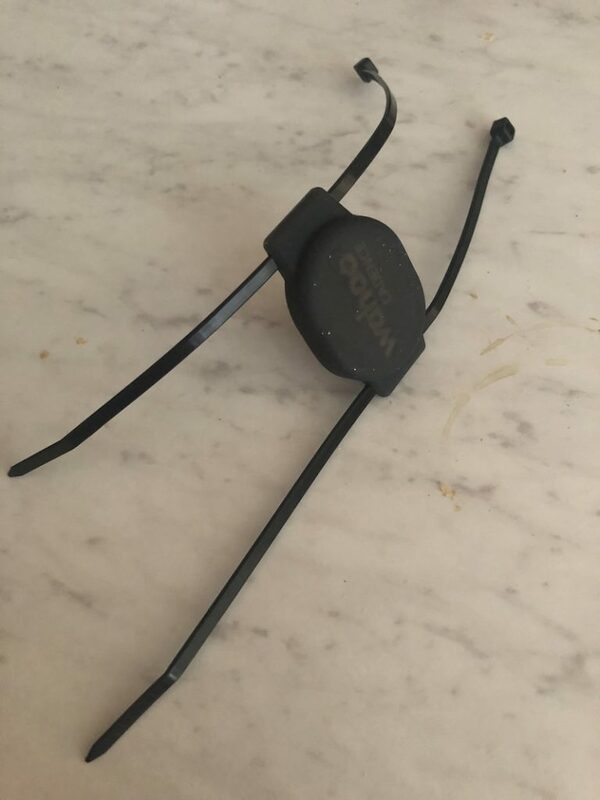 When I’m using the cadence sensor on a rental bike, I really don’t want to go to the effort of attaching the cadence sensor with the zip ties. The biggest issue is getting the sensor off the bike. You need a set of sharp cutters (like wire cutters) to get through the zip tie. Also, I hate to waste the zip ties. 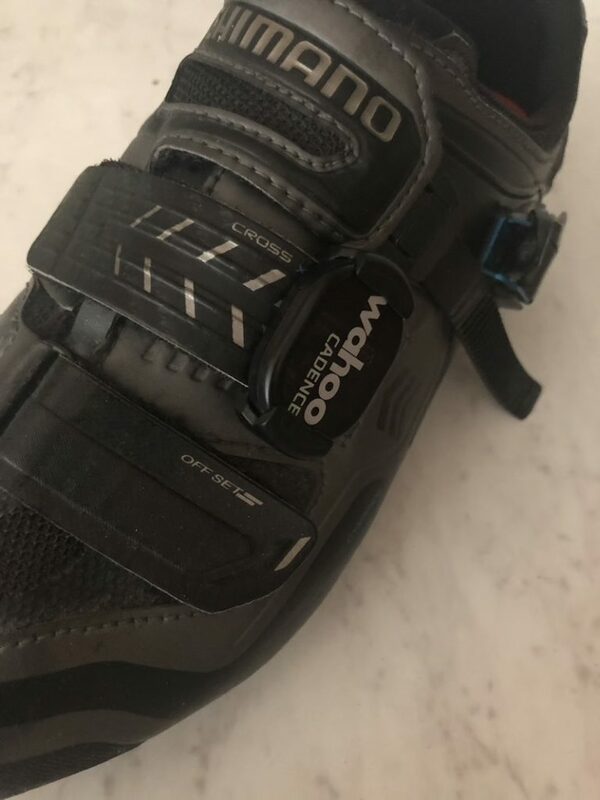 Well, it turns out Wahoo thought of that … as part of the RPM Cadence sensor package they provide a clip that can be used to mount the sensor to cycling shoes. I had seen the clip before, and knew what it was for, but hadn’t really considered it important (until now). When I first saw this clip, I was a bit dubious that it would stay on … but the sensor fits quite snuggly in the clip and on the shoe securely. In my case, I was able to fit the sensor on the strap of my shoe. 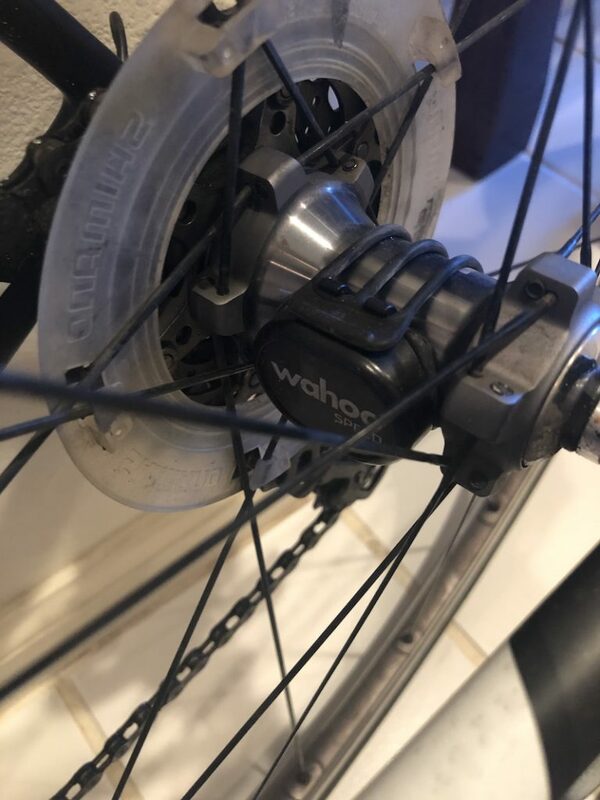 For consistency stake, I attached the sensor to the shoe that is on the non-drive side of my bike. If your cycling shoes (or non-cycling shoes) are lace up, there are holes in the sides of the clip so you an just run the laces through the clip and attach it to your shoe. The Wahoo RPM cadence sensor is waterproof to 5 feet, so some splashing isn’t going to cause any problems. Currently I have separate sensors on each of my bikes. With this information, I might have considered just having a single cadence sensor. This isn’t a factor though … as I purchased a Stages Ultegra Power Meter a few weeks ago and won’t need a cadence sensor on my Giant Defy anymore (the power meter has a built in cadence sensor).